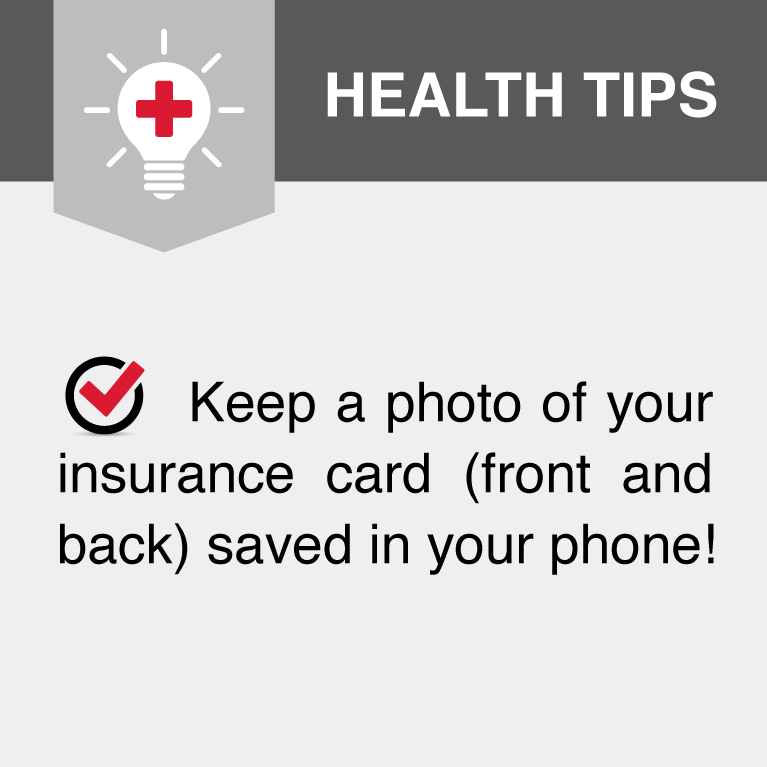 Students must present their insurance card (either the physical card or a digital photo) at the time of their visit. Verification and eligibility for coverage will be confirmed at each visit to Rutgers Student Health. Rutgers University requires that all full-time students maintain active health insurance coverage. To ensure this, the Student Health Insurance Plan (SHIP) premium is automatically included on all term bills for full time students. Students who have valid insurance – whether they have their own or are on their parents’ plan – are permitted to waive the University’s SHIP. In order to waive the University’s SHIP and have the premium removed from your term bill, you must show proof of valid, continuous insurance coverage before the deadline each semester. This is called a hard waiver system. 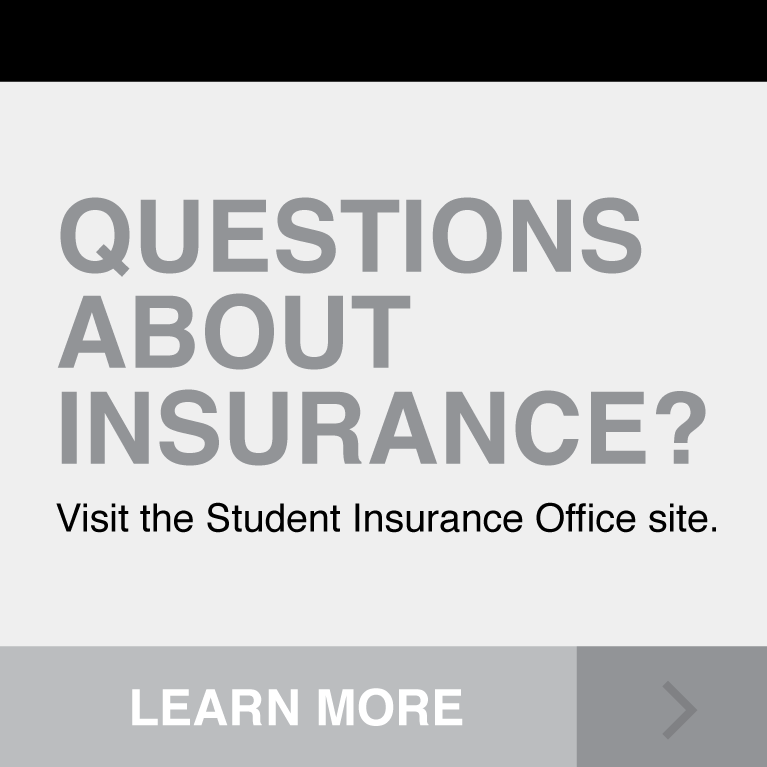 To waive coverage and view semester deadlines, visit the student insurance office official website. Part-time students are not required to maintain active health insurance coverage, but they are eligible to purchase the SHIP. The University strongly encourages all students to maintain adequate health insurance coverage at all times. 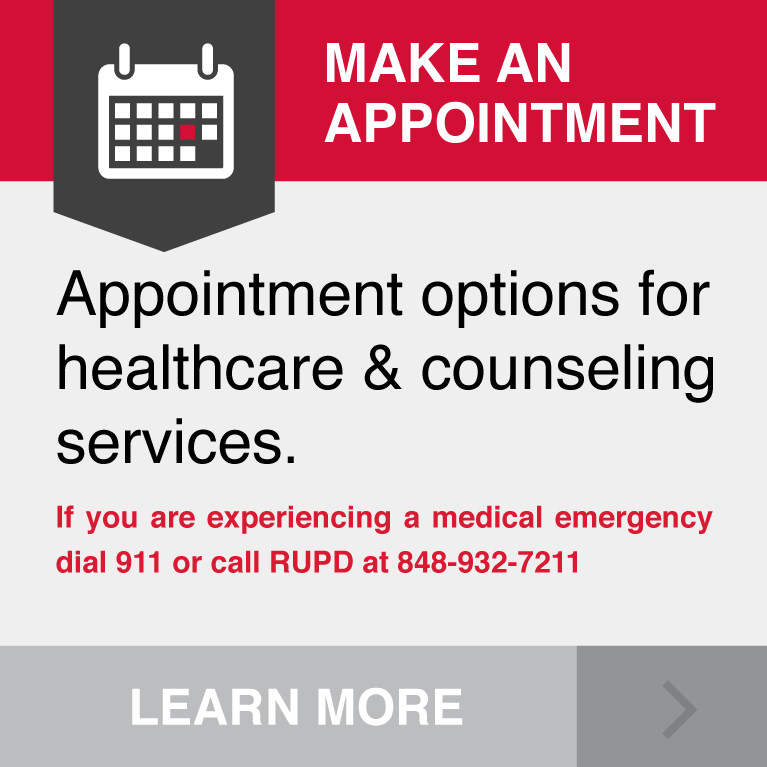 Rutgers Student Health accepts all insurance plans for fulltime students. Students with NJ State Medicaid or NJ Family Managed Care Policies will receive basic health care at Rutgers Student Health but may need to be referred back to their primary care physician for certain immunizations, procedures, or referrals. Rutgers Student Health uses a billing and collection company, Medical Healthcare Solutions, Inc. This company processes all claims with health insurance carriers for medical and psychiatric visits. All full-time students pay a health fee as part of their tuition and fees. Insurance co-payments are pre-paid as part of this health fee and are not required at the time of the student’s visit to Student Health. For full-time students, co-insurance and deductibles are also pre-paid as part of this health fee, up to $75.00 per semester. Students will be responsible for services not covered by their insurance and applicable co-insurance and deductibles. Registered part-time students (with the exception of distance-learning, online-only and continuing education students) are eligible to utilize Rutgers Student Health services. Coverage and payment options will vary based upon insurance. Part-time students (with the exception of international F1, J1 Rutgers-Sponsored Visa Students) do not pay the health fee and are responsible for all co-payments and uncovered charges. Some restrictions may apply to part-time students with Medicaid, Medicare, or federal Tri-care insurance. For any charges not covered by the student’s insurance carrier, Medical Healthcare Solutions will email a billing statement (bill) to the student’s email address on file. Payments can be made by check or credit card. Credit card payments can be made directly to Rutgers Student Health’s payment portal by clicking on the following link: https://secure.rutgers.edu/health/forms/. Choose payment type, “RHS Uncovered Services Bill”. All major credit cards are accepted. 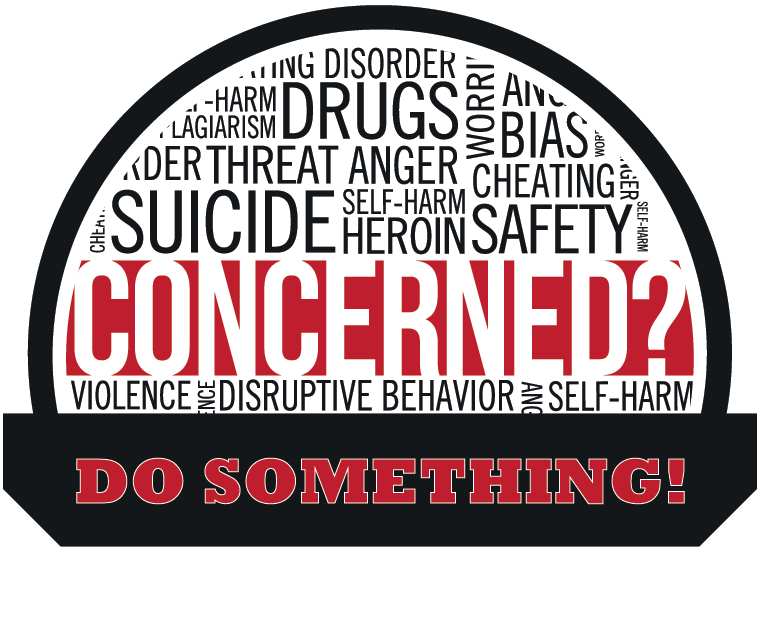 Include the top portion of the billing statement for check payments and mail to: Rutgers, The State University of New Jersey, Student Health Services, PO Box 826998, Philadelphia, PA 19182-6998. For questions regarding claims and payments, student can contact Medical Healthcare Solutions at 800-762-9800. Ext. 128. Students with financial concerns about uncovered charges, can contact Rose Bartley, Assistant Director of Health Information Management & Patient Services at 848-932-9168.